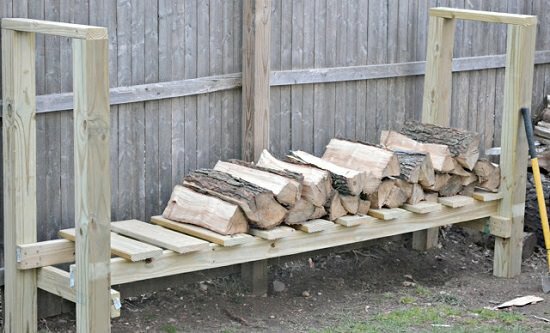 Store your firewood in a way that looks good too with these 16 homemade DIY Firewood Rack Ideas! Repurpose metal window wells and wooden boards to combine them to work as a firewood holder. Learn the instructions in this YouTube tutorial. 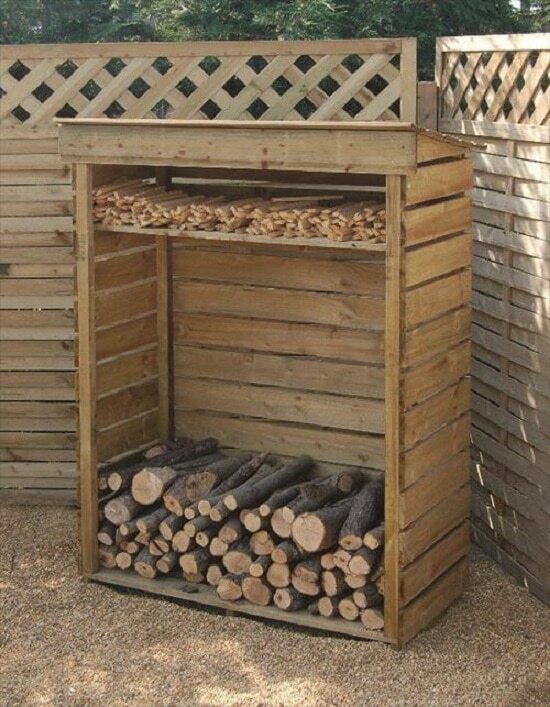 Insert four wood beams into each hole of two cinder blocks to recreate this DIY wood rack in your backyard. 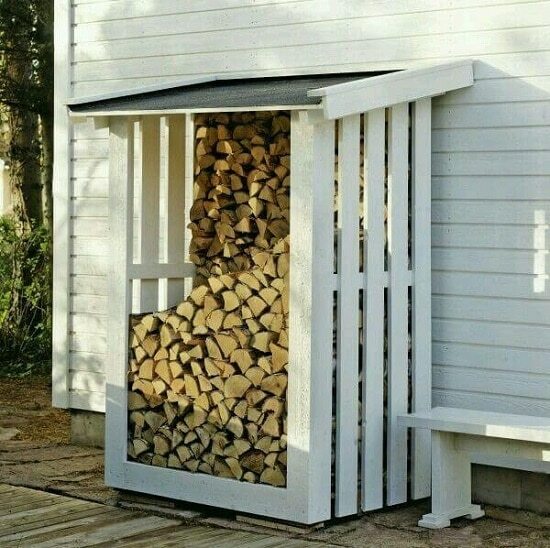 It’s an easy and useful solution to store firewood. 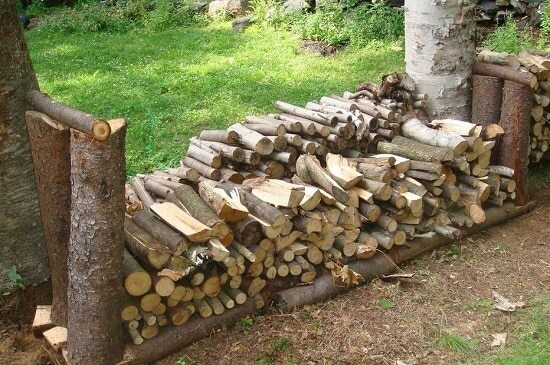 Protecting firewoods can be tricky in the winters and rains, but with this hack, you can do this easily. 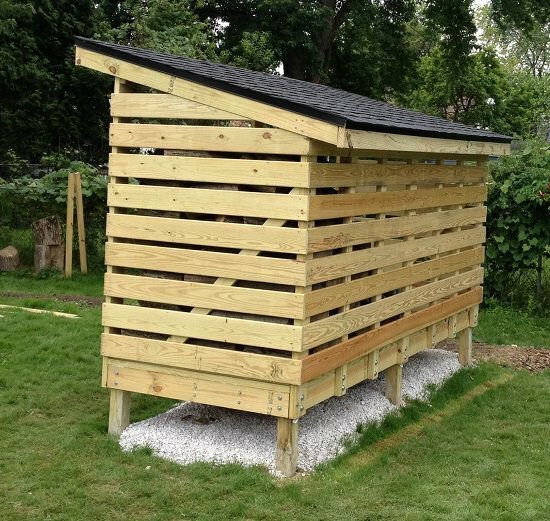 Use old and reclaimed pallet wood to install a similar wooden shed in your backyard. 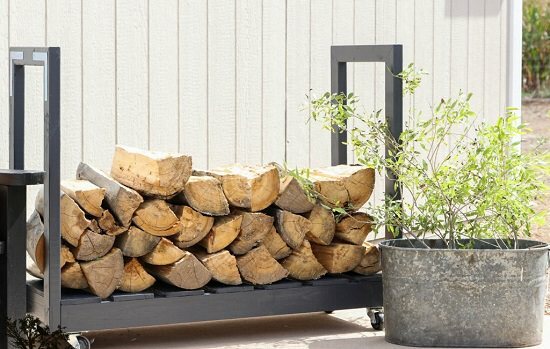 With two cinder blocks and some wood beams, you can recreate this DIY firewood rack in minutes without tools! Check out the description at Instructables. 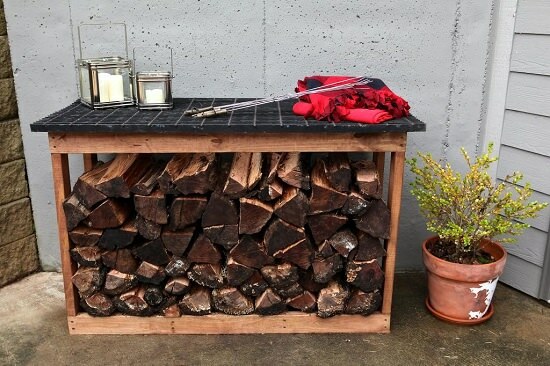 A rack that’s not just storage for your firewoods but acts as an outdoor counter as well. 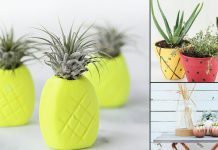 Follow up the tutorial and supply list at Bower Power. 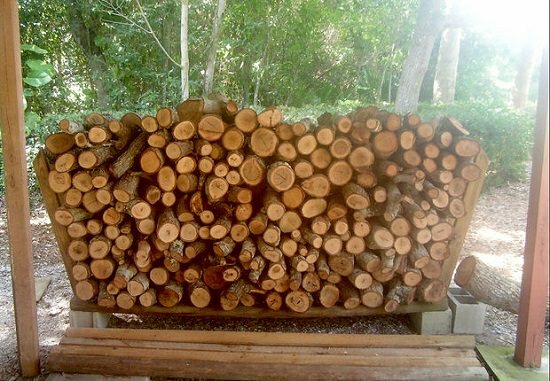 Store fire logs in your handmade shed, which you can make using treated lumber, screws, wood posts, chicken wire, and wood glue. Watch the tutorial here. 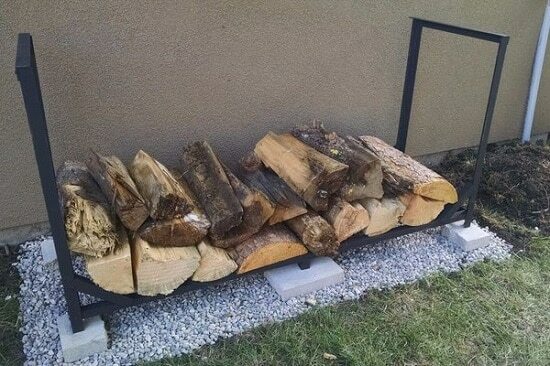 Look at this tutorial by Homeroad, which gives you an easy way to arrange a place to store fire logs. You’ll need some measurement specified pressure treated boards and decking screws. 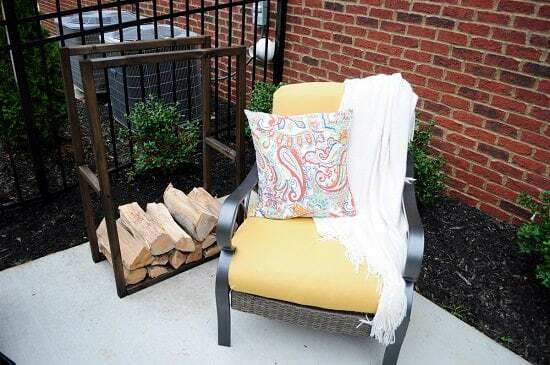 Build this log holder near your cozy patio seating to have a romantic and warm evening with your better half. 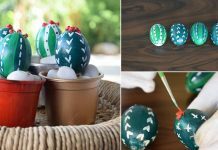 Just as it looks, it’s pretty simple to make in six steps here. Arrange and fix cinder blocks and six 2X4 wood boards such that it replicates a similar design as in the image. For inspiration and the plan, you can click here. 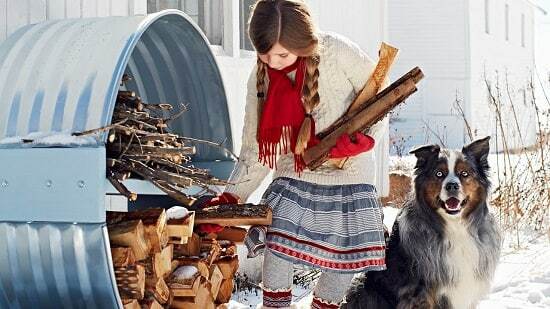 With this firewood cart, it will be much easier to move firewoods near your firepit without many efforts. 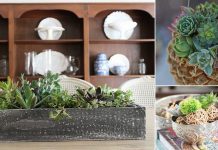 Visit The Wood Grain Cottage to learn more about the DIY. You need roof covering, cladding, bolts and nuts, nails, and structures for roof and floor to complete this DIY. Everything in detail is available here. Take a corrugated metal frame raised bed and turn it on its side to imitate this instant firewood rack. 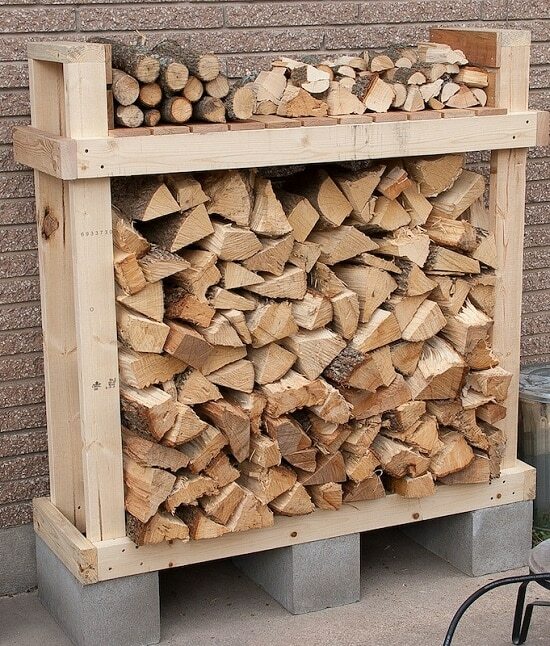 Since heavy rains might still affect the logs, keep the shelf in an area with a shed or under some cover. The plans and list of supplies along with the tutorial is available here. 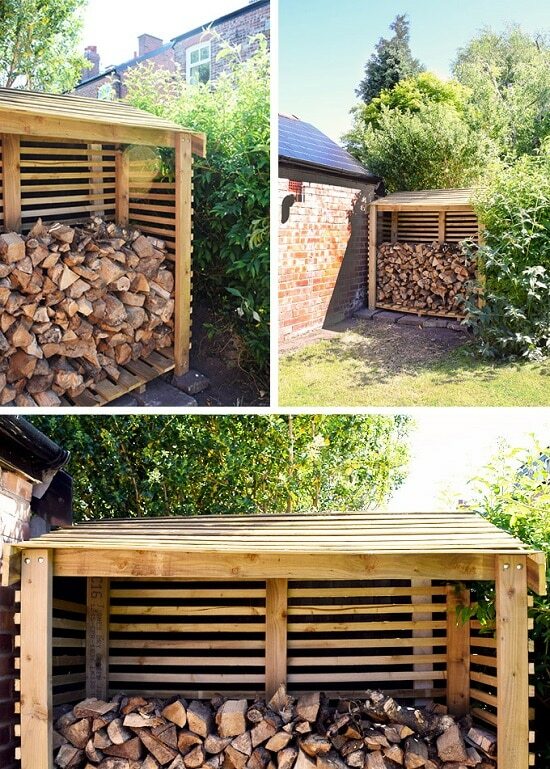 Unlike any other firewood shed, this one consumes less surface yet is capable of holding many logs. Assemble aluminum channels and brackets in the way described here to build this firewood rack for your space. You can choose to paint the frame with some spray paint or leave as is. 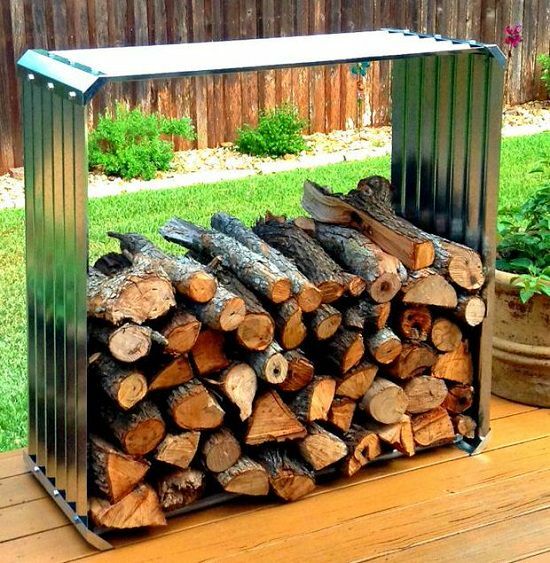 Get a metal frame like this to keep your firewood! For the tutorial, visit Instructables. 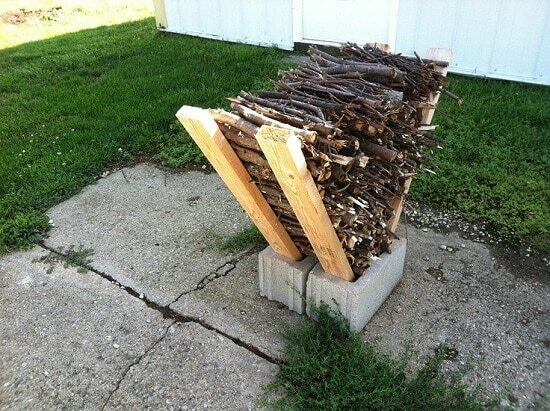 For this homemade firewood rack DIY, you don’t need any extra material. 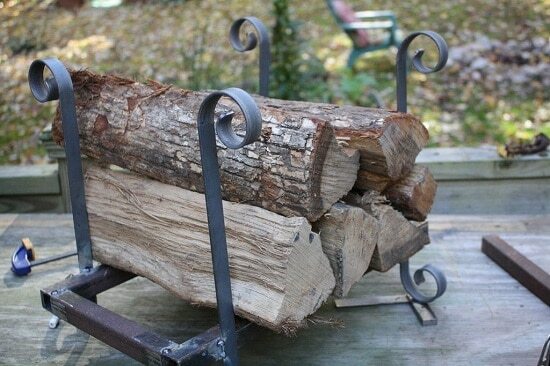 Arrange firewood on a wood log rack by following the tutorial here.